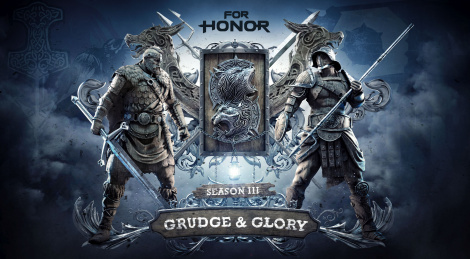 Grudge & Gloryn, the third season of For Honor will debut on Augsut 15 and will bring two new heroes: the Viking Highlander and the Knight Assassin Gladiator (unlockable on Aug. 22 for 15k Steel for non-season pass owners). Ubisoft is also brining two new maps (Sentinel and Viking Village), 1v1 duel tournaments and 4v4 ranked modes. More details, videos and screens after the jump. SAN FRANCISCO — August 3, 2017 — Today, Ubisoft® announced that For Honor® Season Three “Grudge & Glory” will launch simultaneously across all platforms on August 15. “Grudge & Glory” will bring the largest updates to For Honor to date with the introduction of new heroes, maps, gear, ranked play and a wealth of gameplay updates. All maps and gameplay updates will be free for all players at the start of Season Three. The new heroes, the proud Highlander and the fearless Gladiator, will be available for free for Season Pass holders on August 15, while all other players will be able to unlock them in-game on August 22 for 15,000 Steel. The launch of Season Three is the first step in the For Honor development schedule that includes another season in November alongside plans to introduce dedicated servers at a later date. • Highlander (Viking Hybrid) –Highlanders are patient heroes capable of switching between two different fighting forms. Their defensive form allows for counter-attacking and trading blows, while their offensive form empowers them to unleash their deadliest attacks at the expense of being able to block. Wielding the heaviest and longest sword in the game, the Highlander’s massive claymore gives them a deadly combination of strength and range. • Gladiator (Knight Assassin) – Wielding a trident and shield, Gladiators have made a living off of killing for sport, and now bring their ruthlessness and skill to war. Equipped with little armor, they can punch their opponents to create separation to set up attacks and stuns. Their larger stamina meter and reduced cool down times make them extremely agile and dangerous opponents. The two new maps, Sentinel and Viking Village, will add new battlefields to the existing world map. Both maps hold a unique and deadly environmental hazard which will force players to master the terrain and be aware of their surroundings at all times. Additionally, Season Three will introduce a new legendary gear rarity and increase the max reputation for all Heroes to 40 giving players more customization options for their Heroes. Season Three will also bring competitive play to all platforms with the introduction of 1v1 duel tournaments. Competing in tournaments will allow players to vie for higher rankings, which will reset each season, and win exclusive tournament rewards. Competitive play will continue to grow later this year with the introduction of 4v4 ranked modes. In conjunction with the launch of Season Three and in order to further balance the game in preparation for competitive play, title update 1.11 will bring several additional gameplay updates. Additional gameplay adjustments to better balance offensive and defensive play styles will be further tested throughout Season 3. Those looking to get their first peek at the new content included in Season 3 can tune into the For Honor Season 3 Live Event: Grudge & Glory Reveal livestream tournament on twitch.tv/forhonorgame on August 12 starting 11AM PST. This live event will also see the winners of the For Honor Hero Series qualifiers coming together from around the world to compete for their share of a $10,000 prize pool. 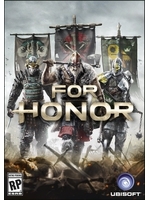 Developed by Ubisoft Montreal in collaboration with other Ubisoft studios,* For Honor offers an engaging campaign and thrilling multiplayer modes. Players embody warriors of the three Great Factions – the bold Knights, the brutal Vikings and the deadly Samurai – fighting to the death on intense and believable melee battlefields. The Art of Battle, the game’s innovative combat system that puts players in total control of their warriors, allows them to utilize the unique skills and combat style of each hero to vanquish all enemies who stand in their way. For Honor will continue to grow and improve with a new season launching in November alongside plans to introduce dedicated servers further down the development schedule. I thought my Internet-connection had let me down, until I realised that "Grudge & Glory Key Art" picture is almost 52Mb.... Waoo!